As part of President Rodrigo Duterte's platform during his campaign for 2016 presidential election, improving the current train and railway system in the country has been one of his administration's priority since he came to power after a landslide victory. With his government's infrastructure development program called Build, Build, Build, this is going to be a vision that will not be impossible to achieve thus one of his promises that would not go unfulfilled. Especially now that a big percentage on the tax reform that is being carried out by the government is allotted to this ambitious project posed as Duterte leadership's legacy. 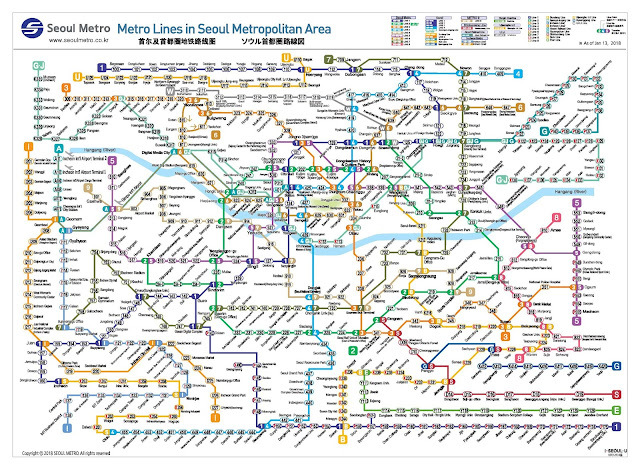 If you will take a look at other Asian countries' train system like that of Tokyo in Japan or of Seoul in South Korea and even Vietnam's train lines in Ho Chi Minh, though it is far from similar due to the complexity of their routes attributed to their technological advantage, you will somehow have a glimpse of our country's potential to be as progressive in the years to come because of infrastructure developments such as this. As the construction would definitely take years prior its completion, the government nonetheless are continuous with their efforts in helping to alleviate the mass transportation struggle. In the country's current set up, the short-term solution laid by the Department of Transportation includes the growing express bus line called P2P or Point to Point bus operated at only few stops exclusive at the designated stations therefore reducing the travel time. 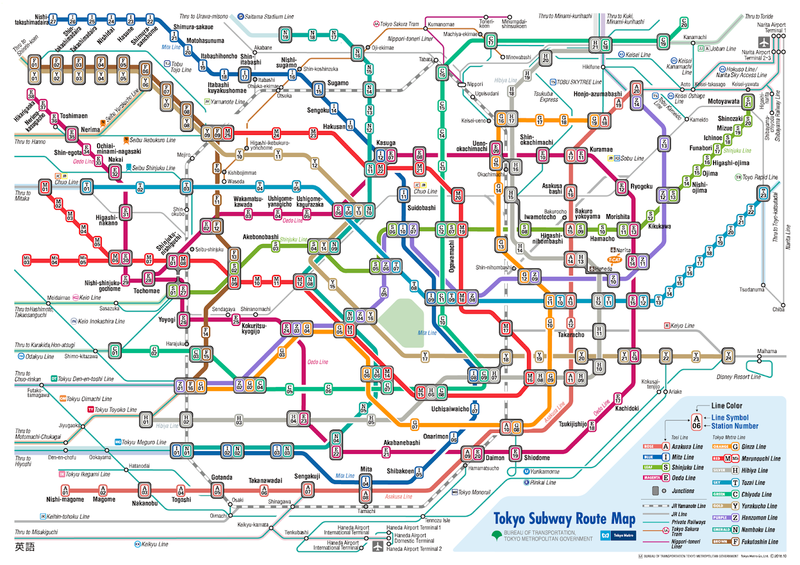 Meanwhile, in an interesting piece from The Asian Policy, a supportive citizen mapped altogether the current train lines as well as the ones under construction plus the planned train system which is expected to begin construction in the near future. 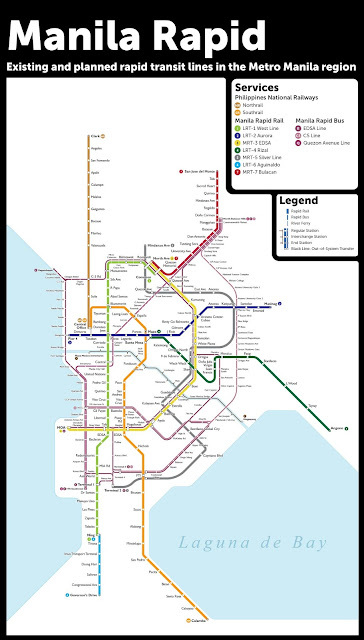 LRT-2 East and West Extensions; from the existing Santolan station to Masinag, Antipolo, and from the existing Recto station to Pier 4 of the Manila North Harbor; with a target completion by the first quarter of 2019 for the East extension. 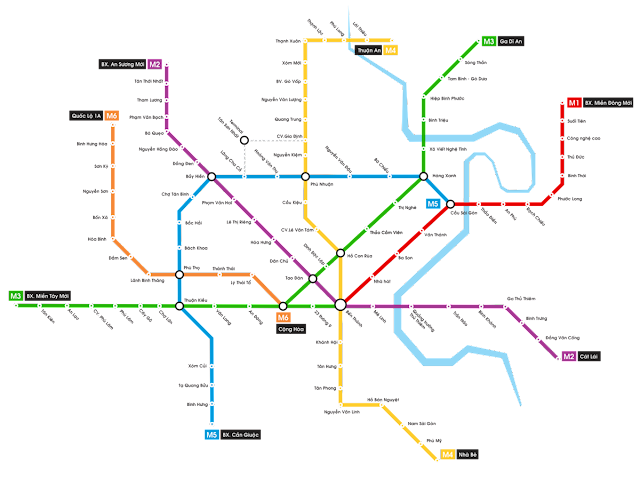 LRT-4 which runs from Taytay, Rizal to the Ortigas Business District, with an initial target completion of June 2021. But that target (and those station assignments) were set and planned when the project was still under the Public Private Partnership (PPP) program, and was contingent on a four-year construction period from 2017. Last we've heard, proposals for the LRT-4 project were being prepared by local businessman Salvador B. Zamora III, along with Chinese firms in the fourth quarter of 2017. 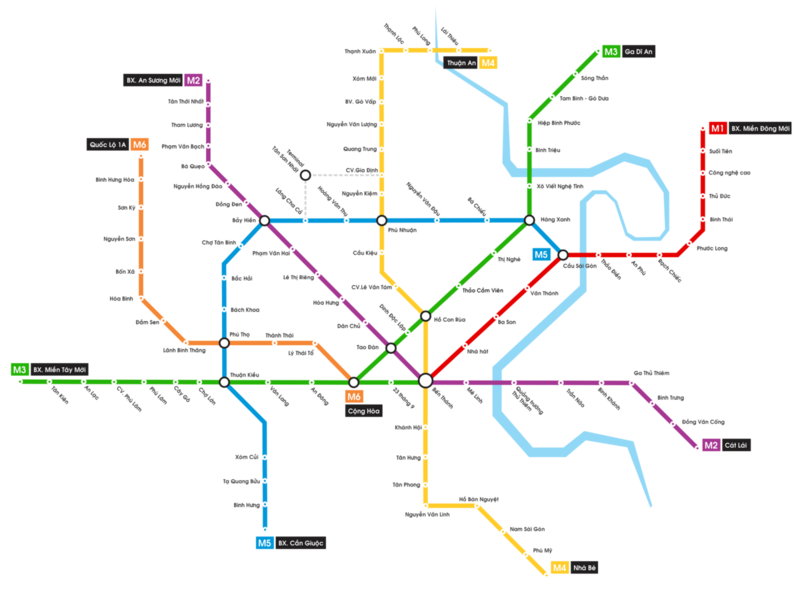 MRT-5, or the Metro Manila Subway, which runs from Mindanao Avenue in Quezon City to the Ninoy Aquino International Airport, with a target completion for the first three stations set for May 2022. Not indicated in the map are the envisioned extensions to Bulacan in the north and Cavite in the south, which were mentioned by Finance Secretary Carlos Dominguez III. LRT-6, which runs from the tip of the LRT-1 extention in Bacoor to Dasmariñas, Cavite. Last we've heard, the prequalification process for the project was delayed in 2016. It was originally planned to start construction in 2016 and begin operations in 2021. MRT-7, which runs from San Jose del Monte in Bulacan to the Unified Grand Central Station in North Avenue, Quezon City. Construction of the MRT-7 is now underway. The project broke ground in 2016 and is expected to be completed by 2019. PNR Northrail, which runs from Tutuban to Clark. The first phase of this project, which covers stations from Tutuban to Malolos, Bulacan, broke ground in January 2018 and is expected to be fully operational by 2021. 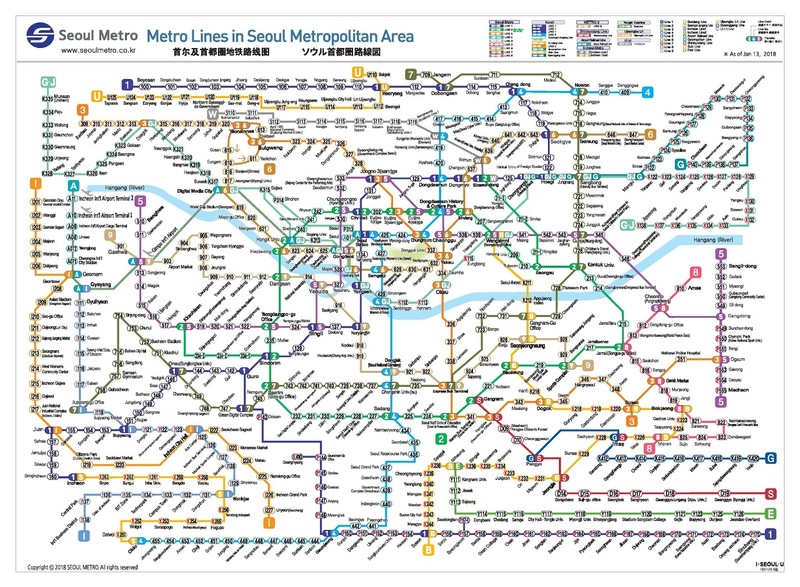 According to the The Asian Policy article, this compilation of all the railway system came from a SkyscraperCity.com forum user named OctaviusIII. 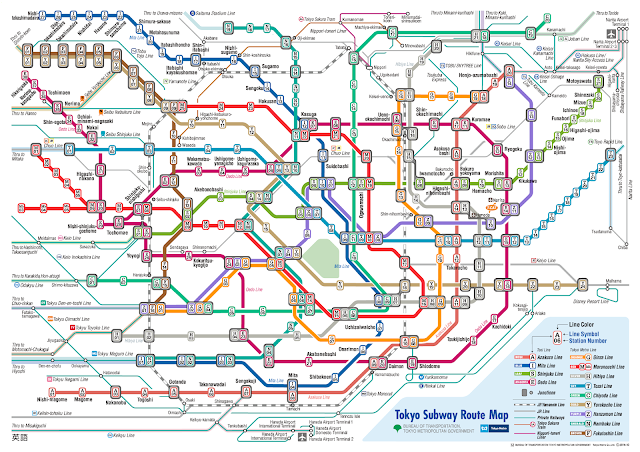 In addition, it was stated in the write up that "other users in the Skyscraper City forum have pointed out some stations are misplaced on the map, and that there are some misspelled station names".